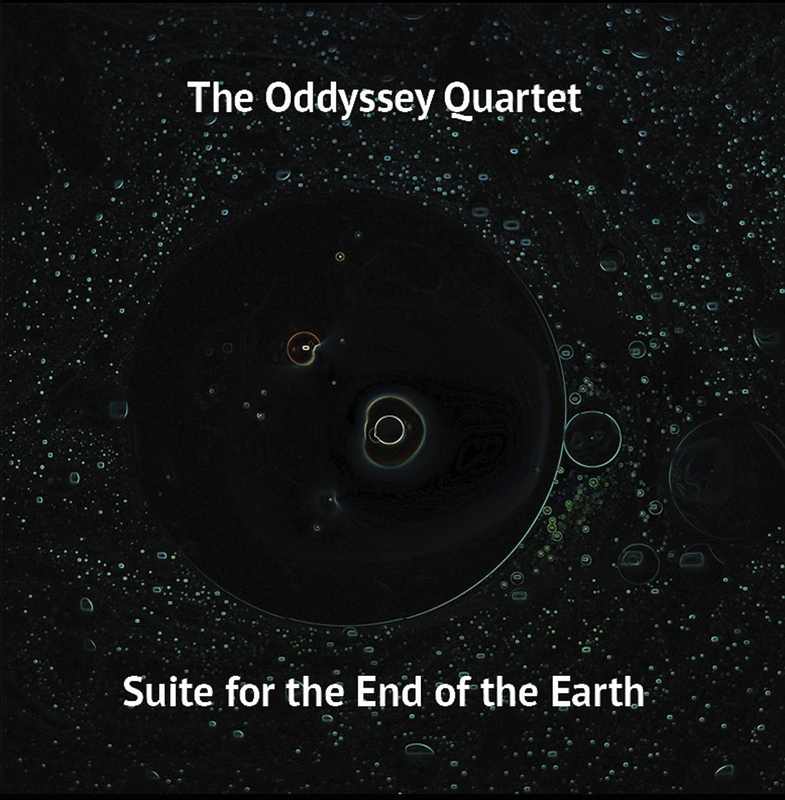 is the rather jolly title (sorry, I’ve been reading a lot of P. G. Wodehouse lately - well it’s my way of coping) of a new album from The Oddyssey Quartet - which features Bill Folwell on bass. As mentioned above the album is due for release on July 13th. 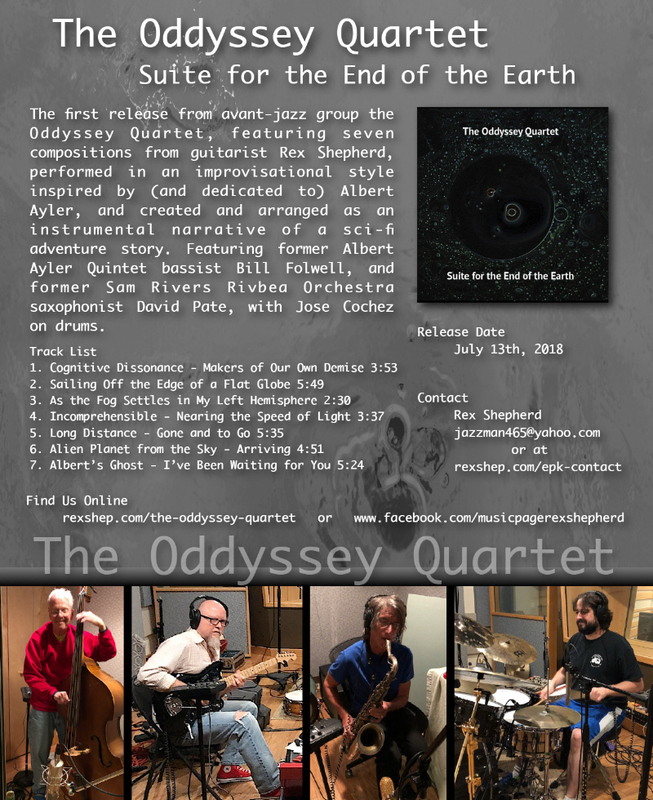 In the meantime, if you want to know everything about Bill Folwell’s long and varied career (and not just his stint with Albert Ayler, from the 1966 European tour to the late Impulses) then check out the 2007 interview with Ben Young on the Interviews page. And of course I also have to point out that this is not the complete version of Slug’s - it’s the original 4 track version, originally released as two separate LPs on the Italian Base label when it was distributing the ESP catalog. The fifth track, ‘Initiation’, is on the ESP version of Slug’s (currently only available as a download - shame!) 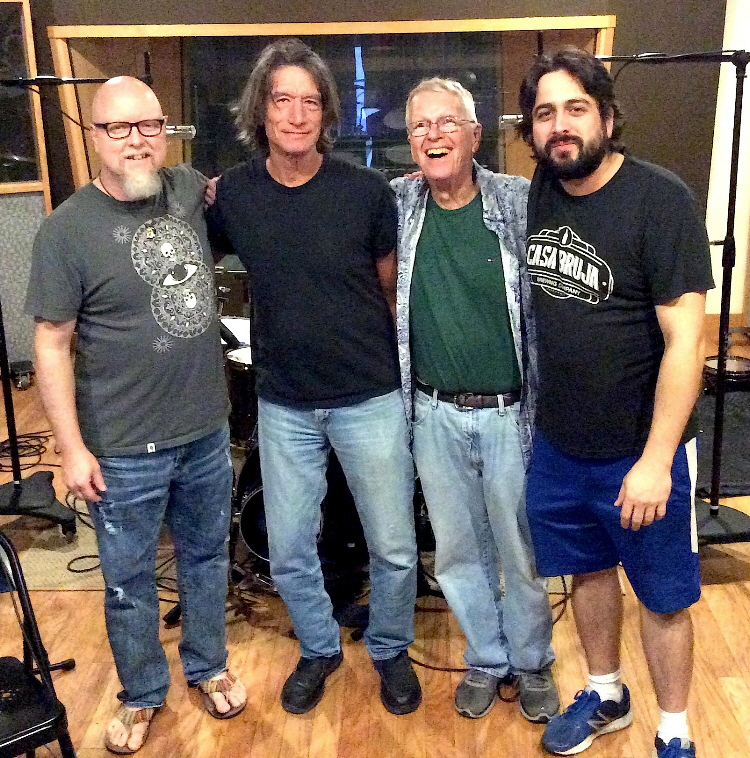 and, of course, you should avoid the Lone Hill Complete Live At Slug’s Saloon CD because it isn’t. Finally, as I’ve mentioned before, it was the confusion caused by the Jazz Door and Magic Music releases of Slug’s (my mate Clive bought both then realised they were the same) that led to my doing this site. 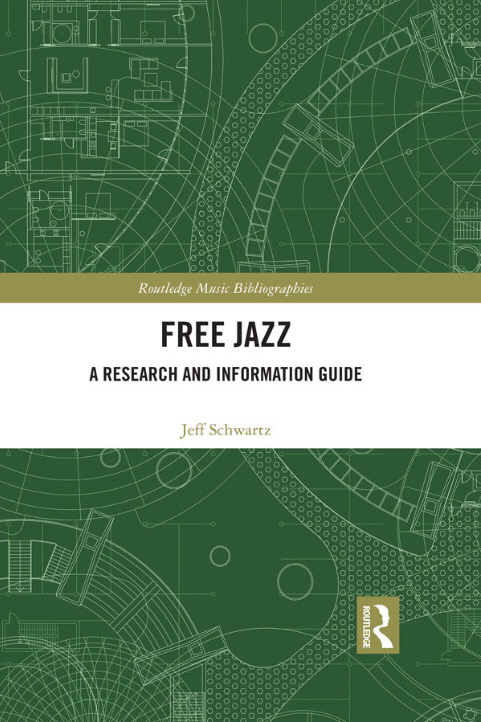 “Free Jazz: A Research and Information Guide offers carefully selected and annotated sources on free jazz, with comprehensive coverage of English-language academic books, journal articles, and dissertations, and selective coverage of trade books, popular periodicals, documentary films, scores, Masters’ theses, online texts, and materials in other languages. Previews are available on amazon and google and they give a good idea of both the scope of the book and also the tremendous amount of work which Jeff Schwartz has put into it. 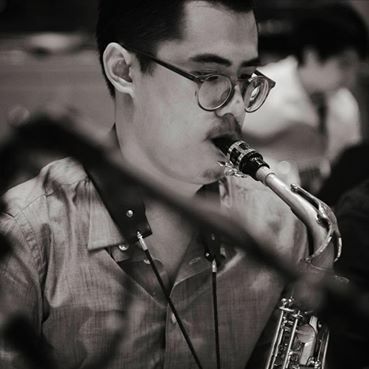 Steve Tintweiss has announced that the third recipient of his Albert Ayler Award, which is presented to a Graduating Master of Music in Jazz Studies at the Aaron Copland School of Music at Queens College, New York, is the saxophonist, Pana Topoonyanont. “This selection offers glimpses of a tiny fraction of the music the modern jazz enthusiast could have heard pushing the door of the clubs operated by Gérard and Odile Terronès in Paris a few decades ago,” says Pierre Crépon. 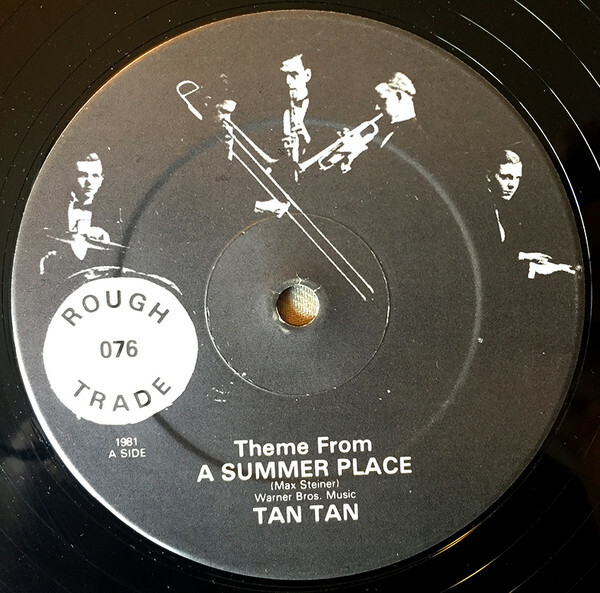 “Echoes of the goings-on at The Gill’s Club (tracks 1–5), below ground in the Marais, as the 1960s were turning into the 70s: a Mal Waldron composition dedicated to the club, a Barre Phillips recording on location which would launch Futura Records, and more deep piano music, from François Tusques. The featured Tusques composition was recorded solo at his home in 1970 for Futura, released on Piano Dazibao, one of the very first solo piano free jazz LPs. 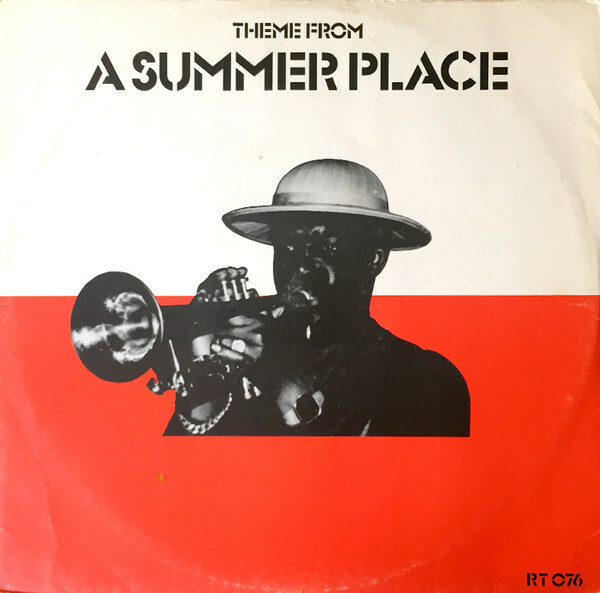 “During the late 1970s, inside a sports and leisure complex in what is today Paris’s Chinatown, at a bar named The Totem (6–10), the jazz afficionado could have heard Bobby Few, listened to Frank Wright playing the blues, wandered about dancing to Willem Breuker’s Kollektief or pondered about the uniqueness of Raymond Boni and Gérard Marais's guitar duet, recorded there for Marge Records, the label Terronès had created in 1975. The Quietus has an interview with Idris Ackamoor by Sean Kitching - ‘The Strange World of... Adris Ackamoor’. 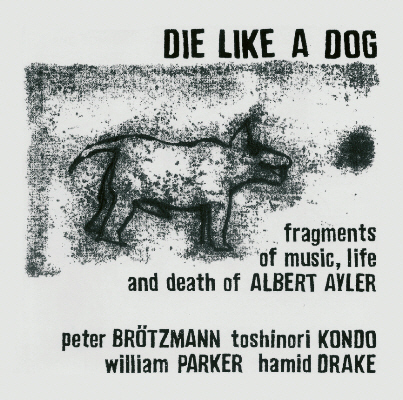 Back in August 2016 I mentioned another interview with Ackamoor, that time on a German site, so this one’s in English and he is a fascinating character - although perhaps his connection to Albert Ayler is one step removed, his real connection being with Charles Tyler. The monthly youtube roundup brings, inevitably, another version of ‘Ghosts’, this time by the 4th Ward Afro-Klezmer Orchestra, recorded on 19th May at the Drunken Unicorn in Atlanta, and ‘Music Is The Healing Force Of The Universe’ by the Visionary Youth Orchestra with Dave Burrell, recorded on 26th May. Then, one to keep me awake at nights, a version of Ayler’s ‘The Wizard’ by Flatland, an unreleased track from their album, Origin of Species - so if there’s no other Ayler connection to the album, does it get listed on the Versions page? I think I just heard a tree falling. Anyway, finally, here’s Dart Echo with a medley of Ayler tunes (complete with walking women). What’s New January - May 2018 is now in the Archives. Pierre managed to track down the date of that concert at Brandeis University - 11th April, 1964. I am old, Father William and do not understand. Pity really, the original Percy Faith version is one of those tunes that can transport me instantly back to my childhood in the late 50s - I would have liked to hear what Don Ayler made of it. Whilst waxing lyrical, misquoting Lewis Carroll and taking a wander in the blue remembered hills, I found a group of Ayler-related poems on the Jerry Jazz Musician site - three of which were new to me and not listed in the Bibliography. 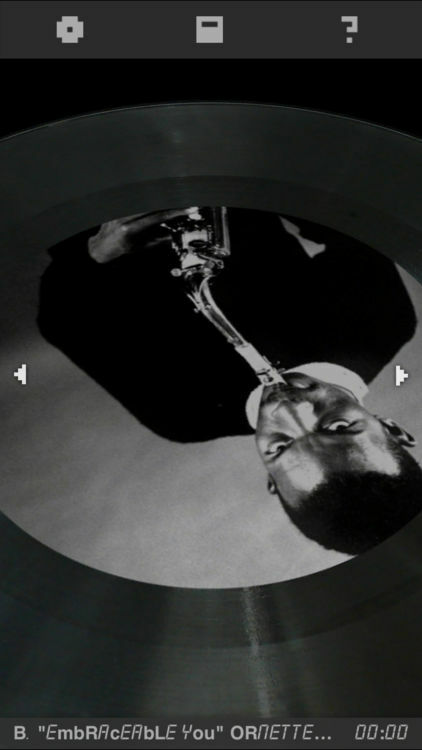 Pitchfork has Ben Ratliff’s assessment of the ‘new’ Coltrane album. I was going to go with these quizzes that Dirk Goedeking came across: 10 questions on Free Jazz - I did o.k. on that, only missed one. Not so good on Can you name the Albert Ayler Songs? But, then I came across this old favourite, the download album with the weird title - this one (from the ‘Classic Mood Experience Collection’) features Albert’s version of ‘I Didn’t Know What Time It Was’ from The First Recordings Vol 2, so roll with that on your jazzy sax carpet. “Vol. 1: This is a very hard record to come by. 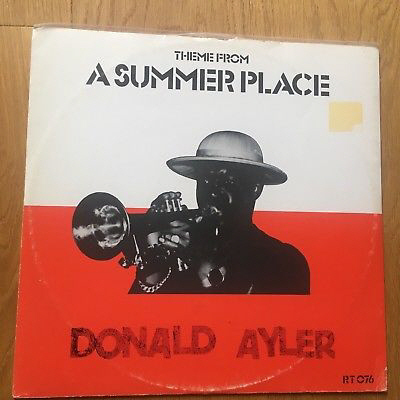 Donald Ayler is, of course, known for blowing monster notes over, across and besides the inimitable saxophone of his brother, Albert. This obscure release comes a decade after his brother’s mysterious death, and shows him moving far away from the architecture of his brother’s sound. Donald is relatively restrained on this first volume, and is much more interested in composition (both tracks were composed by him) and his band-leading abilities. The group here is a seven-piece, including piano and electric guitar. Abdul Rahim Mustafa’s solos are the highlight here, and Donald’s trumpet playing stays mostly in the background as he lets his band comp over his songs. “The Bebop Tune” is by-the-numbers bebop with a timely, 1980s flavor. “The African Song,” however, has a more complex harmony and hints at his brother’s marching-band approach to songwriting, allowing for the soloists to branch out more than on the constrictive first tune. 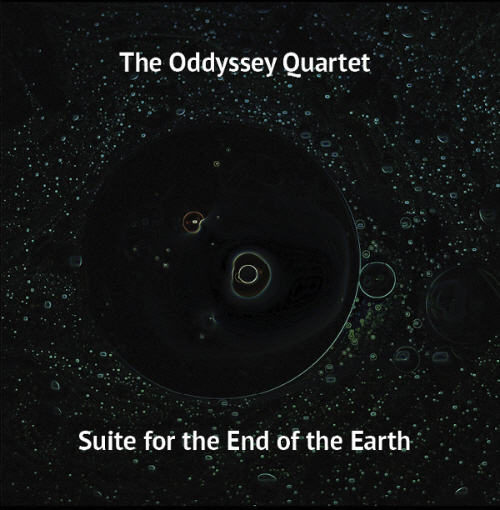 While this by no means represents a huge leap forward for jazz, it is a very consistent and entertaining recording. Dirk also uncovered two items on youtube. The first is ‘“Bells For Don Ayler”, short variations on “Prophet John”’ for 6 string banjo, by Bruce Nicholls. 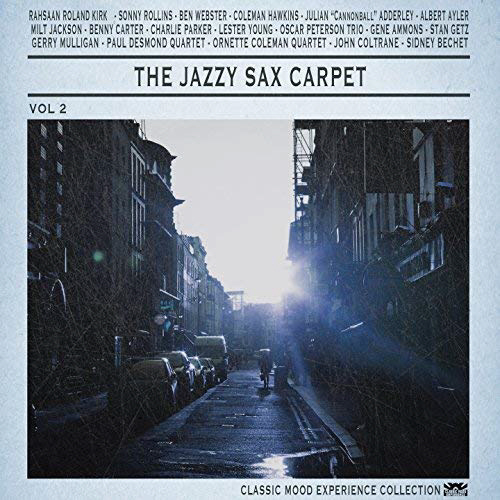 The second is Carlos Santana’s version of Don Ayler’s “Our Prayer” recorded in Guadalajara, Mexico in 2013. I’ve got the audio (from the album, Corazón, Live from Mexico: Live It To Believe It) down in the vaults somewhere, but this is the full singing and dancing version. 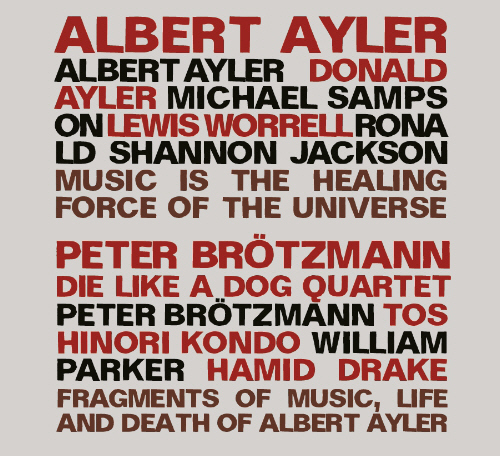 One of my favourite spots on the whole world wide web, although mainly for my other activities, unearthing the bones of long-dead poets, the Internet Archive does have some Ayler-related content. 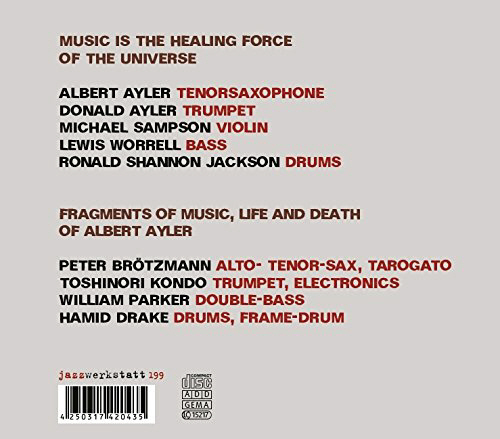 An early Ayler discography which was always being referenced is Erik Raben’s A Discography of Free Jazz: Albert Ayler, Don Cherry, Ornette Coleman, Pharoah Sanders, Archie Shepp, Cecil Taylor published in Denmark in 1969 by Karl Emil Knudsen, is now available to borrow from the Internet Archive. I should explain, the loan system is a new thing on the Archive, where certain books are available to borrow for 14 days (presumably then they self-destruct inside your hard drive like Mission: Impossible and there’ll be a little puff of smoke coming out of the back of your computer). Still free - like a library in fact - and for something like the Raben discography, which I’ve always been curious about, it’s a great system. (Also good if you want to check out the letters of Algernon Charles Swinburne). Another book for borrowing is the fifth edition of Jazz Styles: history & analysis by Mark C. Gridley (Prentice-Hall, Englewood Cliffs, New Jersey, 1993). 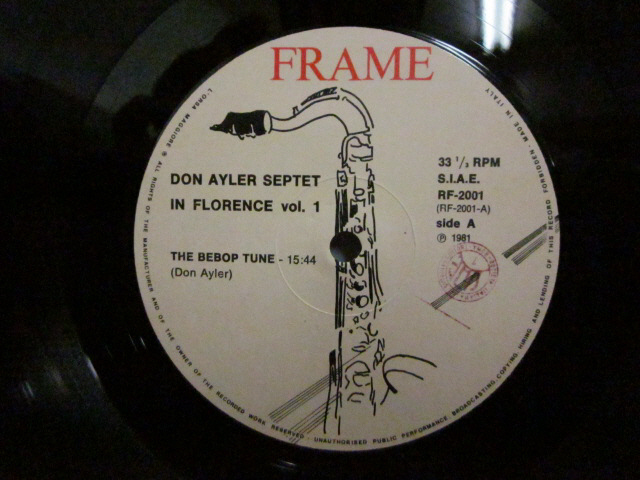 There’s just a small section on Ayler, but there’s a lot of interesting stuff in there (including the fact that Eric Dolphy was influenced by Sonny Criss - a current obsession - which I didn’t know). The Internet Archive also has copies of Spiritual Unity, Goin’ Home and Live In Greenwich Village: The Complete Impulse Recordings: Part One, Part Two. As you can tell, not much news this month. The only thing that popped up was an article about Ayler’s Paris concert from the 1966 tour in Le Monde. In the Raben discography (and it’s fascinating how little Ayler material there was out there by 1969, how much of the current discography, in fact, appeared posthumously) there’s a mention of the Salle Pleyel concert (the only one from the tour) as a ‘private recording’. ‘Albert Ayler, scandale à Pleyel’ by Francis Marmande is the article in Le Monde, which I was going through with the help of google translate when I came to this: “La suite est réservée aux abonnés” - “The rest is reserved for subscribers”. C’est la vie. The original website for the film does not appear to have been updated for a while, but the trailer’s still there, and the facebook page seems moribund but the imdb entry has one intriguing item - next to Albert Ayler’s name, it does say ‘Himself (archive footage)’, so can we dare hope this means more footage from Berlin or Bordeaux? 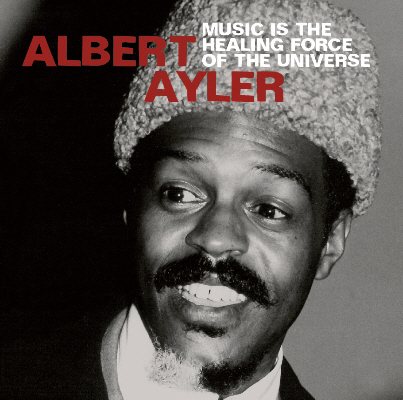 Talking of films, Sally Potter’s The Party is now on Netflix, so I watched it, and I can confirm that the Ayler track that is played in the film (as opposed to just on the soundtrack) is ‘Summertime’ from My Name Is Albert Ayler. If you like films that are really plays and are a bit Alan Ayckbournish, then this one’s for you. I’ll say no more since the last time I made a comment about a supposedly arty film I got told off. Talking of Fire Music, Dirk Goedeking sent me the poster and programme for the 1967 Newport Jazz Festival and said: ‘the right sax definitely plays "fire music"’. You’ll find the handbill for the concert series down in the old What’s New pages, from July 2015 and there’s some speculation about a couple of Raymond Ross photos which may be from the concert from August 2009. ‘Albert Ayler, scandale à Pleyel’ by Francis Marmande. When Pierre Crépon sent me a link to his obituary of Dewey Johnson in the current issue of The Wire I have to admit, although the name was familiar, I couldn’t quite place it. He was the second trumpeter, alongside Freddie Hubbard, on Coltrane’s Ascension, however, as Pierre’s article explains, he was much more than that. 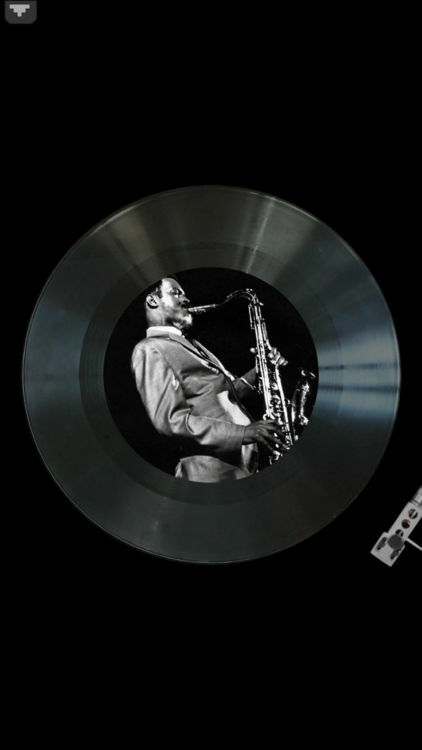 ’Voice from the Past – Paradigm (recorded 1981) draws inspiration from the energy music that Peacock played in New York in the early 1960s when he was a member of visionary saxophonist Albert Ayler’s groups. 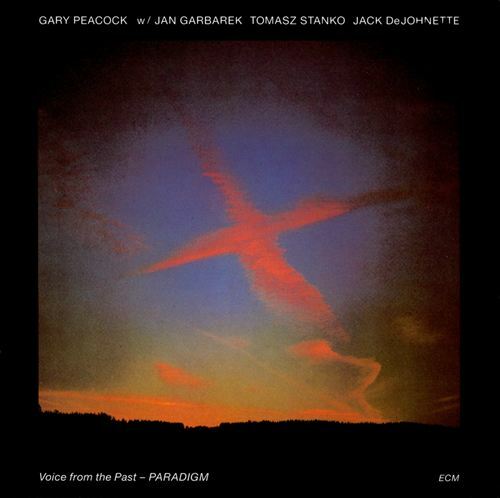 Jan Garbarek, in some of his finest playing on disc, evokes the aura of that era in emotionally powerful exchanges with Tomasz Stanko. 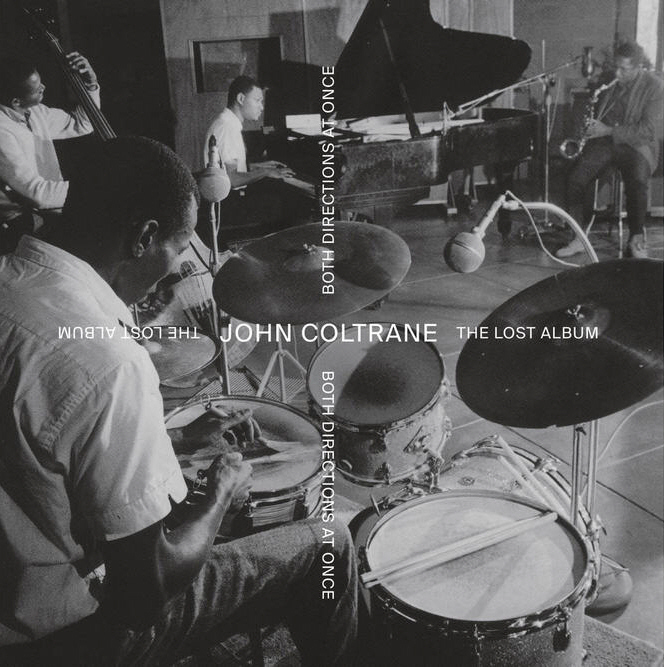 “Peacock, as ever, is sublime,” said Jazz Journal, “and the perpetual motion of DeJohnette’s drumming maintains a superb tension.” Initially published in April 1982, vinyl is reissued in October 2016 as audiophile pressing taken from the original analog tapes. The album is currently available on youtube. A painful subject for me since Stoke City are no longer in the Premier League and have been consigned to the outer darkness, as far as TV is concerned, of the Championship (the old Second Division - changing the name does not ease the pain). Anyway, football, specifically Liverpool F.C., provided the theme for a concert which Sean Wilkie organised in 2015. That’s Sean Wilkie of the exhaustive rundown of confusing titles and actual tunes in the Slug’s Saloon and La Cave recordings on this site. Sean enlisted the support of James Clark, who was then in his final year at the Royal Welsh College of Music and Drama in Cardiff and he signed up six other musicians to play various - I suppose we have to call them - ‘mash-ups’ of Miles Davis and David Bowie, ABBA, Bob Dylan, Mingus and - finally getting to the point - Don Ayler and Rodgers & Hammerstein. The original concert was intended as a celebration of Sean’s 50th birthday, but he decided to repeat the exercise earlier this year and then sent me a CD of the second half, since he knew of my fondness of mingling Ayler with other things (particularly Bernard Stepien’s versions of Christmas carols and Kalle Autio’s chamber music settings). So here is Don Ayler’s ‘Our Prayer’ mixed with ‘You’ll Never Walk Alone’ from Carousel. I have to admit I approached the track with some trepidation since I’ve never been a fan of Rodgers & Hammerstein in turgid anthem mode, but I have to admit it works. I think mix Ayler (either of them) with anything and it can only improve it. In deference to my mate Clive, I have omitted most of the information relating to football which Sean provided for me, but I have to thank him (and his team-mate, James Clark) for letting me add this track to the site (and also this bonus item commemorating Charles Mingus’ visit to Greendale). 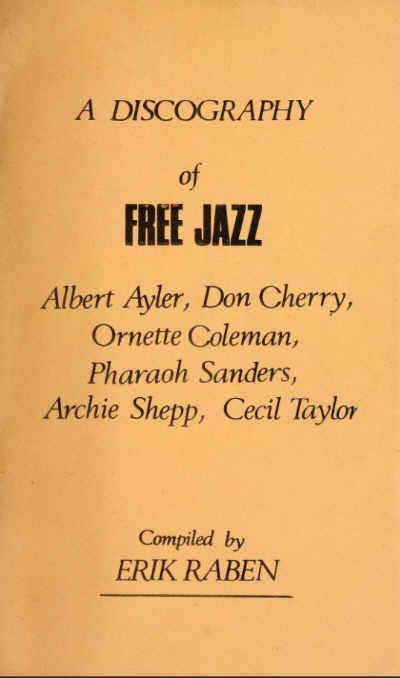 ‘Jazz at 100’ is a radio series from WTJU at the University of Virginia, presented by Russell Perry, featuring the history of jazz since the first recording by the Original Dixieland Jazz Band in 1917. 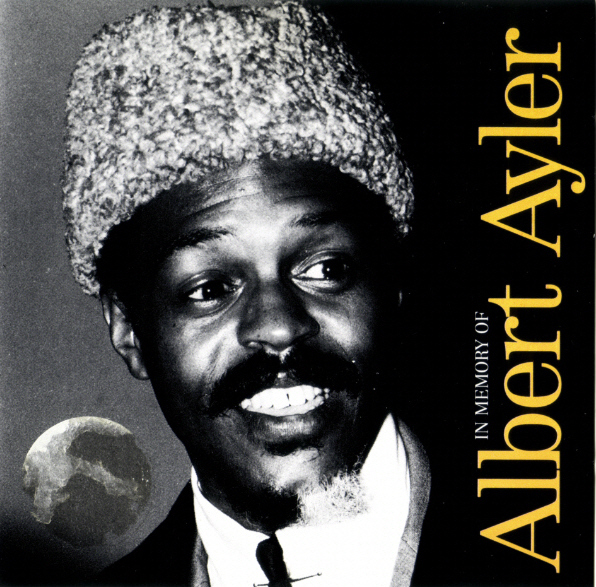 Hour 74: The Avant-Garde features Albert Ayler among others, and I was pleased to see Joe Harriott getting a nod for his early independent experiments into Free Jazz. Another unexpected delight was the inclusion of the John Lewis album, Jazz Abstractions. This has always been one of my favourite records, and one of the few where I can still recall exactly when and where I bought it - and even how much I paid, since it’s got 19/- written on the back of it (that’s 19 shillings, 95p in today’s money). I’ve always been a fan of the Third Stream experiments of John Lewis and Gunther Schuller, despite the general disapproval of jazz critics at the time, so it’s good to see them getting the recognition I always thought they deserved. It’s also nice to see one of the ‘Hours’ is devoted to Jimmy Giuffre and his associates (although why Giuffre is now pronounced Giuffray rather than Giufree I don’t know). The main page has the full list of programmes with the audio, and the individual pages on each chapter have the text of the programme plus the track list. Richard Koloda emailed to ask if anyone ‘out there’ has a subscription or access to ancestry.com since he needs to check some of the yearbooks from the John Adams High School in Cleveland which Albert and Don attended. If you can help, let me know and I’ll pass on your details to Richard. He now seems to be close to finishing his book about the Ayler brothers and is going through the tortuous process of acquiring copyright permission for all the quotes and other material in the book. 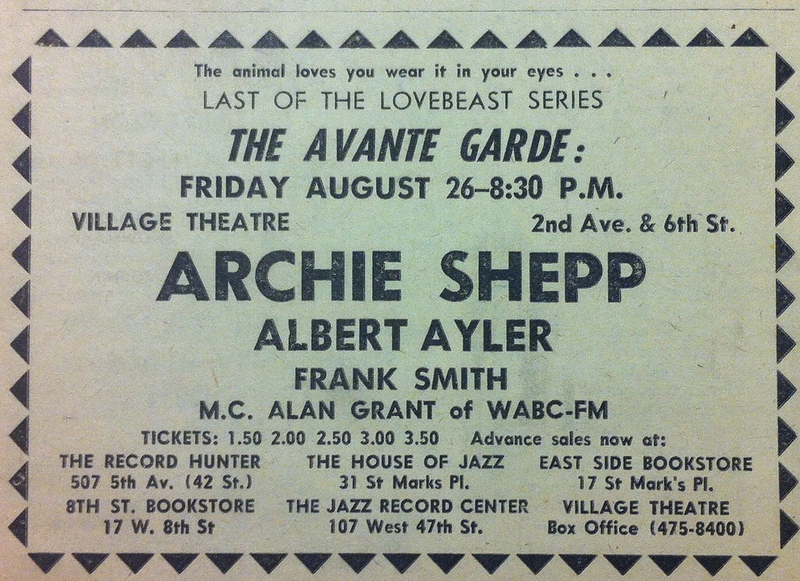 We end as we began - well almost - Archie Shepp has a lot to answer for. 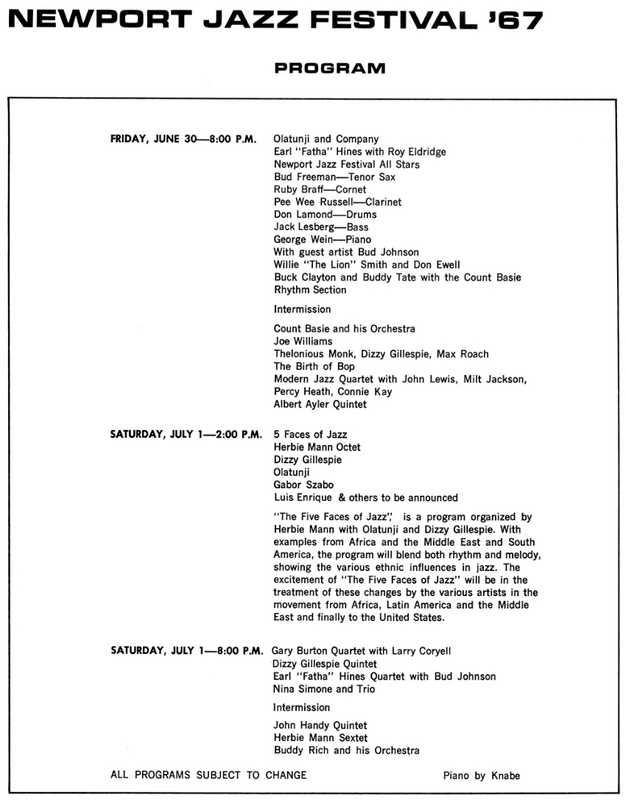 I just received an email from John Gray, Director of the Black Arts Research Center in Nyack, New York and author of Fire Music: a bibliography of the New Jazz, 1959-1990 (Westport, CT: Greenwood Press). 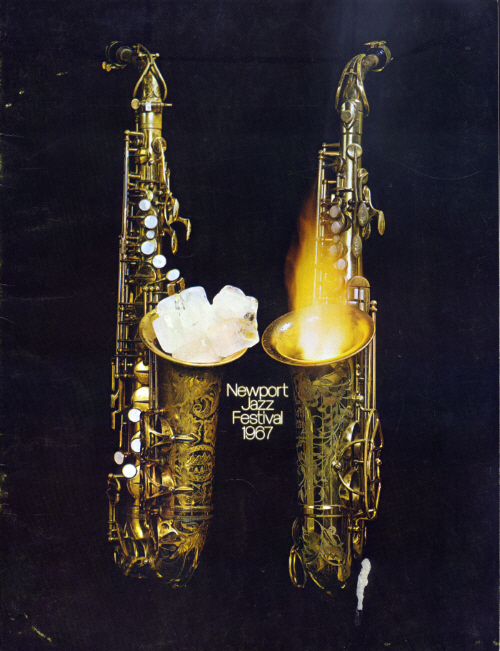 This was originally published in 1991 and includes a section on Albert Ayler (pp. 83-89). 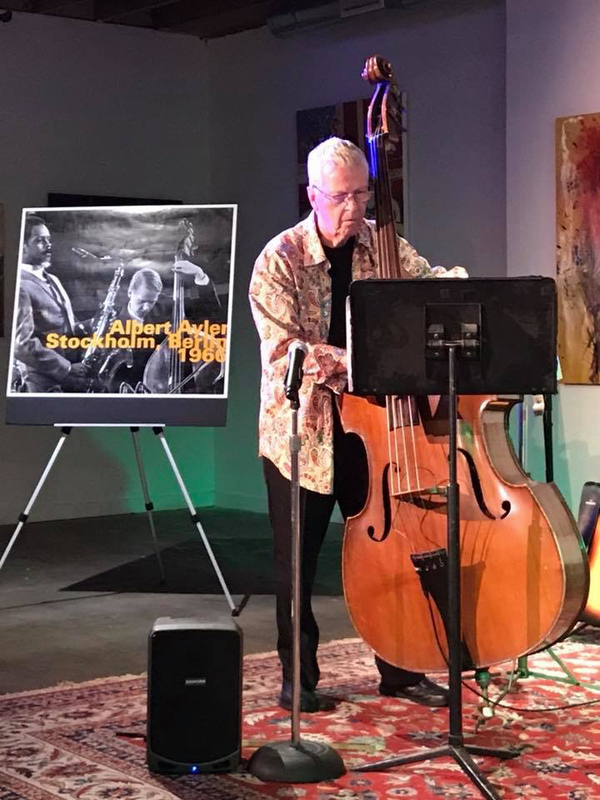 A new, updated edition of the book, tentatively titled From Free Jazz to Free Improv is due to be published later this year by the African Diaspora Press. Not a lot this month. A very short piece by Mauricio Hornek from his 2004 album, Music For The Drunk, ‘Albert Ayler's Funeral Never Happened’ and a track from Giorgio Gaslini’s 1990 album, Ayler’s Wings, accompanied by pictures of women in frocks. Also, whenever you search youtube for new Ayler videos, it throws up versions of any tune he recorded, and this month I got The Dixie Hummingbirds singing ‘Nobody Knows The Trouble I’ve Seen’, which I enjoyed. 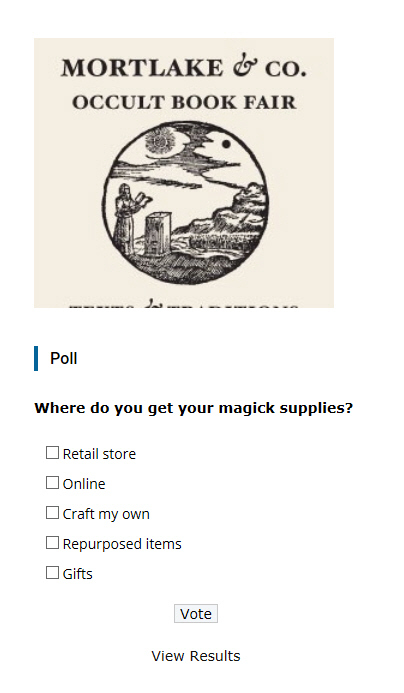 For the record, I get mine from Poundland.